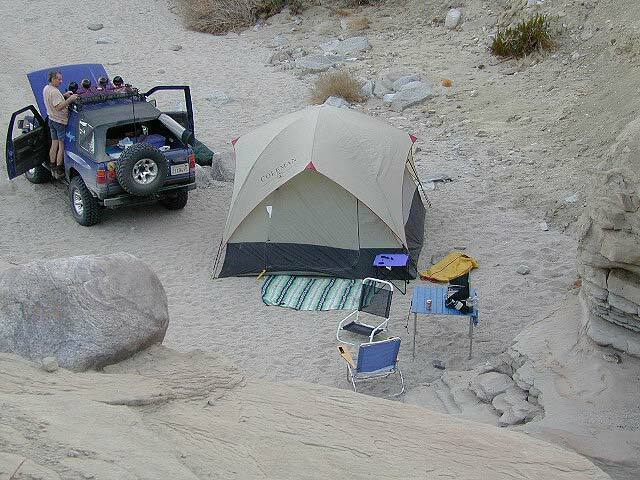 Explore Anza Borrego State Park desert deeper for the secluded hidden treasures. 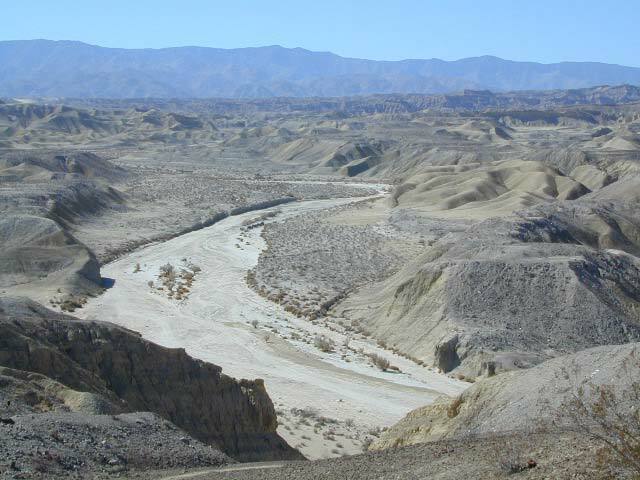 Find yourself traveling the east San Diego county desert, on Highway 78 eastbound on the way to the Salton Sea. 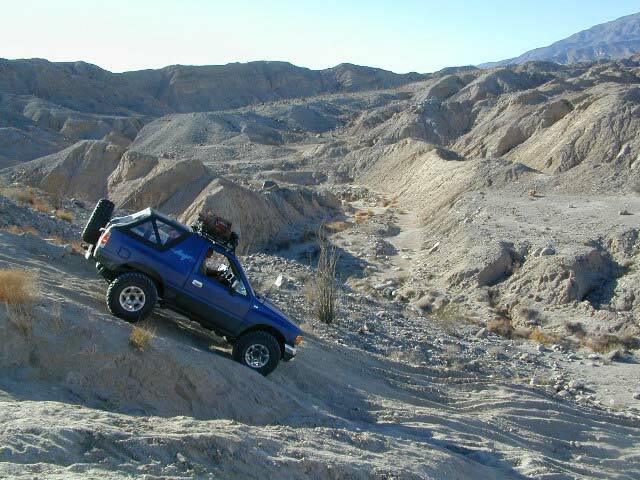 Passing the turn offs for Borrego Springs, slow down and look for the intersection of off-roaders & ATVs @ Ocotillo Wells, California. Ocotillo Wells State Vehicluar Recreation Area is on the north (left) side of the highway and Split Mountain is on the right. From highway turn south (right) on to Split Mountain Road, which leads to numerous back road destinations. Ranch homes and private property line the first mile of the road, neighborhood general store and a tiny saloon, RV park and an ATV rental shop. Old Kane Springs Road is a main dirt road that parallels the highway from the narrows at San Felipe Wash to the Salton Sea. Old Kane Springs Rd intersect the Split Mountain route about 1 mile south of highway. Split Mountain ranger station is before the Elephant Trees nature trail. Near the railroad track, the paved road turns into Fish Creek Wash near Fish Creek Campground. If you have a low rider passenger car, you might wanna park it here and walk in to the canyon. 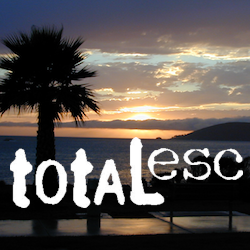 Within the first few miles there is a lot to explore – fossils in walls, huge cliffs, wind caves, narrow canyons. The actual “split in the mountain” section is located just beyond the campground on a sandy desert road. 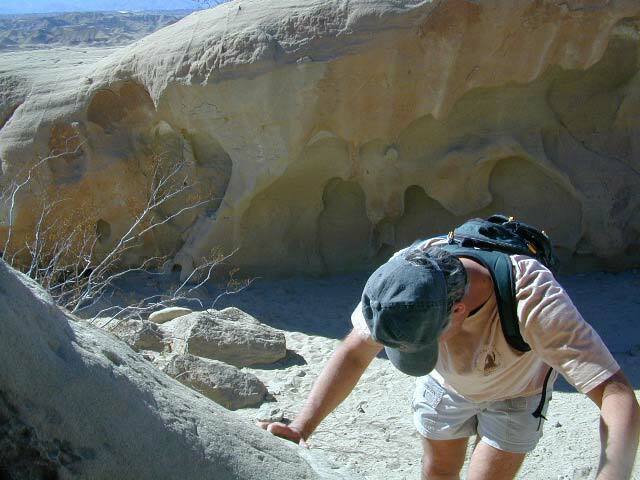 Fish Creek Wash continues south, deep into the Carrizo badlands where 4×4 is definitely needed. The trail system eventually loops back over to paved S2 @ Canebrake, via Pinyon Mountain w/ the Squeeze, or Canon Sin Nombre. Unlimited primitive camp sites, found inside every other nook and cranny. Numerous hidden slot canyons, sandstone cliffs and wide sandy washes becomes a literal maze of off-road trails so you better carry a good back roads topographic map.